Located just a few miles north of the affluent Palm Beach Island is the wonderful sea-side community of Hobe Sound, conveniently located on Florida’s East Coast. Hobe Sound is home to Jupiter Island, a wealthy town located across the water featuring some of the most beautiful waterfront homes in the world. Visitors travel from all over the world to enjoy the pristine beaches, beautiful State Parks, and seven elite Golf Courses and Clubs including The Medalist, and Hobe Sound Golf Club. Stroll through the many boutiques and crafts shops and enjoy the delicious local restaurants. Come and explore the Blowing Rocks Preserve and see the limestone covered beaches, or the Jonathan Dickinson State Park to go camping, canoe, hike the numerous miles of trails or many more outdoor activities. 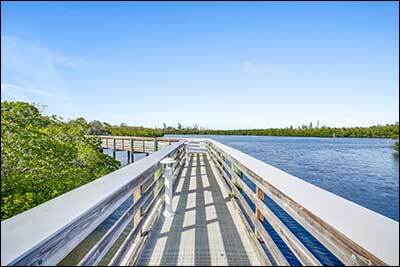 Travel up and down the Intracoastal and see the incredible views that this wonderful community has to offer. Located in Hobe Sound, Florida, Treasure Cove is comprised of beautiful single family homes located on the Intracoastal Waterway. Homes in this community have guest houses for visitors, as well as boat docks large enough to fit yachts. Treasure Cove is located next to many area attractions such as the Jupiter Island Wild Life Refuge, Keiser College, and Hobe Sound Bible College. The Sanctuary is a quaint gated neighborhood located in Hobe Sound, Florida. 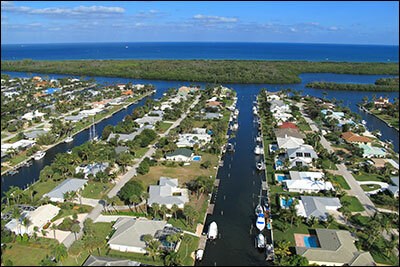 This community offers 57 spacious lots, along with several docks. Home prices begin in the mid $500,000 range with about 2,500 square feet. 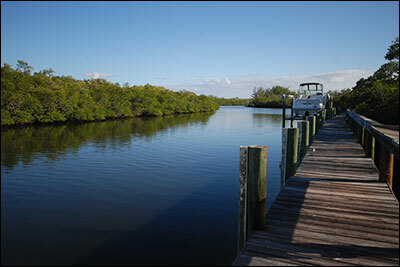 Residents enjoy being minutes from the beach, as well as the glistening Indian River. 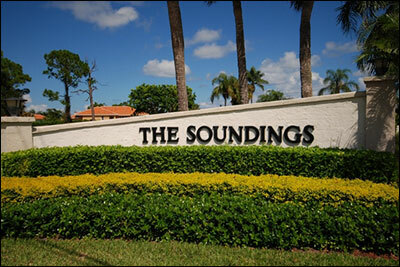 The Soundings Yacht and Tennis club is an elegant community consisting of waterfront and garden-front homes, located in Hobe Sound. Prices range in value from $600,000's to $2,000,000, with non-waterfront homes ranging around $300,000 and up. Amenities include club house, marina, pool, and tennis courts. Osprey Cove is a pristine gated community located in Hobe Sound, FL, often referred to as Osprey Cove Yacht Club since it is situated along the Intracoastal Waterway, and features 32 deep water boat slips. Comprised of just 86 homes, ranging in size between 2,230 sq. ft. to nearly 6,000 sq. ft., there are a variety of home sizes and floor plans to suit any prospective purchaser. Residents enjoy access to a community swimming pool and tennis courts, quick access to the Saint Lucie or Jupiter Inlets, proximity to local shopping and dining, and are nearby unbridled nature found in Johnathan Dickinson State Park. For more information and to see actual listings, visit the links on the left-hand side of the page. You'll see a mixture of beautiful Hobe Sound to South Stuart area waterfront homes. To see my listings, please visit the Featured Listings tab on the top left hand side of the page. 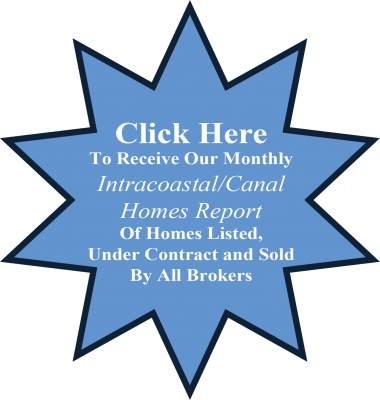 To learn more about how we market your waterfront property locally and internationally, click the Selling tab at the top of the page. 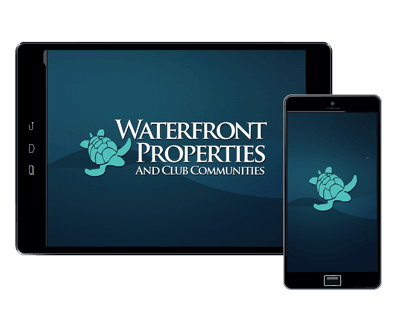 To learn more about Waterfront Properties & Club Communities and the unique way we structure our market, you'll want to click the About Us tab on the top left-hand side of the page. As a Hobe Sound specialist, I am prepared to offer you further information about this exceptional region that only one who has worked and lived here for many years is able to provide. Please contact Jaime Schwartz at 772-263-0978. 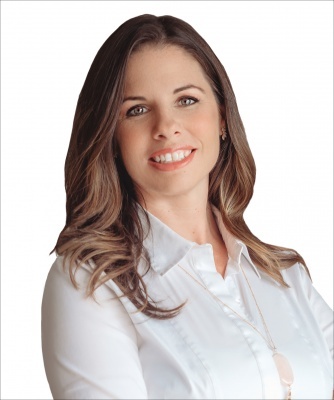 We look forward to assisting you with all of your real estate needs! Search for your perfect property on the go!